It may have run into difficulty a couple of years ago, but organisers behind GaymerX – the games industry’s only major event for LGBTQ communities – have revealed a fourth shindig is headed to Santa Clara, California, next month. Fan of Blizzard’s Overwatch? Check out our list of the best multiplayer games here. On the roster at GX4 (as it’s being billed) are speakers from BioWare and Obsidian, with the likes of Blizzard, Oculus and Microsoft also set to give a “sneak peak” at what they have in the works. Since its formation in 2013, GaymerX has looked to provide a platform both for LGBTQ folk working within the games industry, and those who just love games. In 2014, it was feared funding issues would result in founder Matt Conn calling time on the venture. 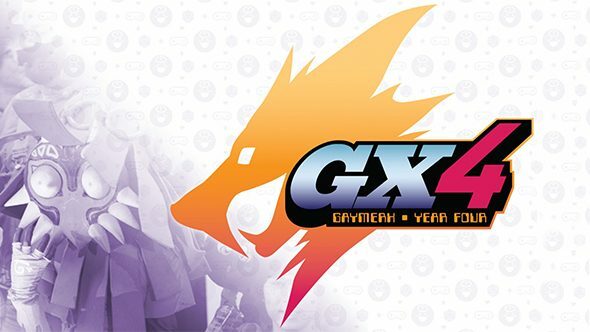 However, in 2013 a successful Kickstarter campaign raising more than $97,000 thankfully brought GaymerX back to life. “Whether you make or play games, cover them as press, or upload Let’s Plays to YouTube – you’ll be welcomed with open arms,” said Conn of GX4. “It doesn’t matter if you are straight, gay, bi, trans, white, black, asian, latino, middle-eastern, purple or orange (yes, Donald – you’re invited, too!). Come on down, meet new people, have fun, and celebrate our shared love of games. As well as talks, GaymerX – which will run from September 30 to October 2 – will also play host to special interest groups such as Women In Games International (WIGI), charity-focused gaming marathon Extra Life, Lesbians Who Tech, and the International Game Developers Association (IGDA). Oh, and there will be parties on offer too, with GaymerX continuing to focus on bringing different gaming communities together across the three day event. Three-day passes start from $65 and can be picked up from Eventbrite, with VIP passes – which include various merchandise and a party ticket – also on offer for $145.